The Google Nexus S is here, the second ‘pure’ Android mobile phone, but how will it fare against the latest and greatest mobile handsets? When the Google Nexus One was released just over a year ago, the tech world seemed to stop for a moment to admire. It was a feat of mobile engineering, incorporating the first 1GHz processor into a smartphone, amongst other quite brilliant achievements. It almost goes without saying that it set the benchmark for what was to come, as for the next year or so, and even now, we have been seeing a multitude of devices with the same 1GHz processors, albeit maybe with some other better technologies in there, hitting the shelves. Only now, are we hearing of perhaps dual core, or single core with a higher clock speed, processors finding their way into smartphones. However, the world didn’t exactly respond with major demand for the ‘superphone’, and subsequently Google pulled production and adopted it as the official Android developer device. Whether this was because it wasn’t exactly well publicised outside of the nerd-world, with sales only being done online, shipped from the US, or because the HTC Desire, which enjoyed massive sales figures and rave reviews, even today, is essentially the same phone, and was well marketed, is neither here nor there. 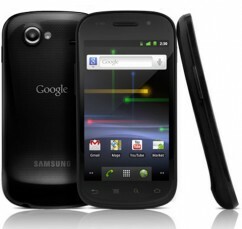 The fact is, the successor to the Nexus One, the Google Nexus S is made by Samsung rather than HTC and had to do a better job of it. Like I said, it was probably the major downfall of the Nexus One that it wasn’t well marketed, or widely distributed. In truth, it may have just been a dabble in the market for Google, providing it’s own hardware to test the waters, perhaps. Nonetheless, it was undoubtedly a great phone. The Nexus S, supposedly an improvement on it’s predecessor, thankfully hasn’t suffered the same fate. In fact, the Nexus S is now available on pretty much all of the major networks here in the UK: O2, Vodafone, T-Mobile and Orange. On top of that, it’s available from most of the major phone vendors, such as Carphone Warehouse, Phones4U, and online retailers. This means it’s in the face of customers, this means, that with a decent salesman and a few neat posters lining the windows of the store, those searching for a new top-end smartphone may just be convinced to snag one. The price for the Nexus S isn’t bad either. Contracts actually start as low as £30 per month if you want a free handset, and that gives you the usual quota of 500MB data, and varying plans depending on the network you’re on. Obviously, you pay more if you want more as with any phone. From The Carphone Warehouse, and pretty much anywhere else you look, the Nexus S can be bought for a pretty reasonable £429.99. This places it in and amongst the top phones out there, including the iPhone 4, in terms of price, without setting the bar as high as the Nexus One, which commanded a not too dissimilar price tag, but required importing and obviously that means more money leaving your wallet. Whilst keeping the same 1GHz clock speed as the original Nexus, the Nexus S uses the relatively new Cortex A8 processor, widely regarded as one of the best ones out there, and incidentally is essentially the same CPU as the one used in the iPad. Needless to say this incorporates a whole load of advanced technologies, admittedly too dull to get into. What you need to know, though, is that I’ve been using this device now on and off for the past few months since it’s release, and it’s as snappy an experience as I’ve experience anywhere else on a smartphone. There’s no sign of any slowing down in normal usage, and I am extremely impressed with the performance on that front. 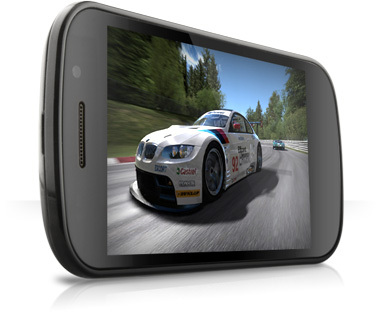 As well as that, the Nexus S also features a dedicated GPU, which obviously comes in handy when playing games, a common use of Android phones these days it seems, with Angry Birds flying everywhere lag free, obviously. The device has received a mixed reception, though, for the amount of internal storage. 16GB, is what it provides, and for a standard device, this is ample. But the thing is, this isn’t any ordinary device. This is the Google Nexus S. This is the flagship device for Android 2.3, and it’s supposed to set a benchmark that all other manufacturers should aspire to. This just doesn’t cut it, but in truth it’s a minor flaw and 16GB will get you by, unless you have an abnormally big media library on your device, or like to keep your audio/video in uncompressed or full HD sizes. Basically, it’s just not enough storage space to enable you to be care free about what you put on there, and that’s what you’re looking for in a really top end device. Samsung regularly receives great criticism for the constant use of apparently cheap-grade plastics used in it’s devices, from smartphones, to tablets, to laptops. It’s tacky, and for some immensely maddening reason, the Nexus S had to follow suit. The rear of the device is fully plastic, with traditional Samsung spots covering it. It feels poor in the palm, though the curved design and the protruding lip at the bottom make it extremely comfortable. You just feel, though, that when you consider even the Nexus One, and more importantly the iPhone 4, and the aluminium materials used, it just doesn’t stack up. On the other hand, though, it does help in keeping it lightweight. The device is relatively slim, and the plastic means it feels extremely light in the hand, considering the 4″ size. Definitely a plus point, though it just doesn’t feel like it justifies the enormous price tag. The Samsung Omnia 7, which runs Windows Phone 7, actually has a metal back, and whilst it still isn’t the most premium feel in the world, it’s a darn sight better than plastic. The entirety of the phone is black, which is nice and traditional, without being too ambitious in the design department. It’s classic, and is representative of the majority of Samsung’s phones, dumb or smart. So, in relative terms it does feel nice, it is designed and built well, it’s sturdy and it looks great. However, it’s just not premium enough to be the best phone out there. Being designed and manufactured my Samsung, the Nexus S obviously makes use of the quite splendid 4-inch Super AMOLED display, found on the likes of the Galaxy S and the Omnia 7. It’s a great display, but a lot has been made of the fact that on the Nexus S, it’s slightly curved. Ever so slightly concave. In normal use, or in fact any use of the phone, the difference it makes is negligible. You hardly notice the curve it’s so minimal, and in truth it doesn’t make the experience any better. Seemingly an unnecessary gimmick aimed at confusing witless consumers that in some way it improves the device. It doesn’t. Not in my experience, at any rate, and it’s quite irritating because without a doubt, it is a factor causing a bump in the cost of the device, which is most likely passed down to the customer. Having said that, I’m not really complaining about the quality. Gimmick’s aside, the display is one of the best around in terms of quality feel and brightness, as you will know if you’ve used one of the aforementioned Samsung devices. However, the increasingly meagre resolution of 480×800 is starting to become a little annoying, in truth. It’s so common on these devices now, it’s dull, and like I said before, this is the flagship phone. Every other phone’s aspiration, and I’d expect a little more. Especially considering the iPhone, arguably it’s major competitor in the market, trumps that comfortably with it’s Retina display, and with a smaller display it boasts an incredible pixel density, a huge selling point of the iPhone 4. So again, the super AMOLED display will top most other devices on the market, but given the expected supremacy of the device, it just doesn’t give enough pixels to take it to the desired level in my view. Let’s start with the wireless stuff here, it obviously supports Wi-Fi 802.11 b/g/n, a prerequisite of any budding top dog in the smartphone world, and expectedly it also connects on the move via HSPA, or 3G networks. There’s also the traditional bluetooth connectivity for headsets and nothing unexpected, really. You can use the device as a wireless hotspot thanks to Android, too, which does, for now, trump the iPhone. The device has a USB port, used for PC connectivity and charging. There’s headphone jack on the bottom of the device, an increasingly common design choice made by manufacturers, rather than place them on the top. Again, nothing out of the ordinary. I haven’t noticed a fault with any of this so far, all works as expected, and nothing on the scale of the whole antennagate that Apple had to deal with last year. Kudos, Google. There are actually a pair of camera’s on the Nexus S. A front facing one, which is of regular quality, nothing exceptional and will help when video calling comes to the Skype Android App. The rear camera, is a 5-megapixel shooter, which in my experience with a few shots actually offers a better quality shot than the 5-megapixel camera on the HTC Desire, and in a variety of light conditions as well. Of course, this is further proof that it’s more than just the megapixel count that makes a good picture. Hence why it won’t be as good as regular camera, but more than suitable for the odd snap whilst you’re out and about. Unfortunately, stock Android doesn’t actually support 720p video recording, so there’s no such quality on the video recorder on the Nexus S. This was the same for the Nexus One until developers out there came up with a ROM to fix that. So, video recording is nowhere near the precedent set by it’s rivals in the market, even those running a manufacturer’s customised Android, such as the Galaxy S, even. Another interesting exclusion from the camera on the Nexus S is the zoom function. There just isn’t one, yet. Google has apparently said that it will come in an upgrade, but as for now it’s just what you see is what you get for photos. I can’t say I’m too disappointed, as digital zoom isn’t exactly outstanding and offers nothing you can’t easily do on your PC at home, or on video editing on the device itself, if you’re really that bothered. I’m not going to say too much here, as we should be getting the review of Android 2.3 up at some point, detailing it fully, and as this is as plain as Android gets, there’s nothing much to say. The only point worth making, is that of course this is Google’s best attempt at making an integrated solution, similar to what Apple has with the iPhone. This means updates as soon as they arrive, you don’t have to wait for your network and/or manufacturer to deem it appropriate, which can actually take years if you use the Galaxy S as a prime example. 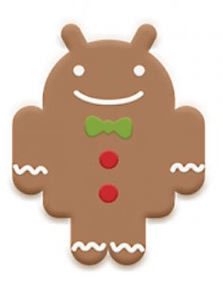 All i’ll say for now is that Gingerbread is great, and it looks superb on the AMOLED display. It’s built on the success of the Android Froyo update and offers a few subtle changes, and a few major ones, which I love, particularly the animation when you lock the phone, retro-TV style. Overall, nobody is going to dispute that the Google Nexus S is a great phone, and for the integration with Google alone, rather than the fragmentation that Android suffers notoriously from, it is worth considering. It mixes great hardware, with great software and again, it’s not going to be disputed. However, what is going to be questioned is the benchmark, the precedent that it sets (or not). There is nothing about this device, which will turn heads, make you say ‘wow’, and when you look at some of the devices soon to be hitting shelves, such as the Motorola Atrix, and potentially the HTC Desire 2, it’s already a long way behind. It’s not classy enough, it doesn’t stand out as THE best Android phone. And for that reason, it’s just not going to justify the claims and the price tag. Yes it’s good, in fact it’s great, and I couldn’t recommend it enough if you’re looking amongst the ordinary top-end smartphones, but honestly, truthfully… I just feel it should be better than that.